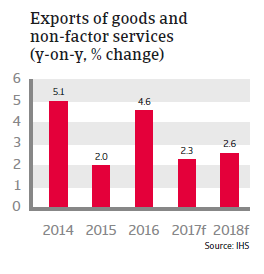 Despite rising Swiss exports in 2016, export-oriented businesses production costs had risen relative to their export prices, squeezing profit levels. Since 2015 Swiss business insolvencies have recorded annual increases due to a more difficult economic environment. 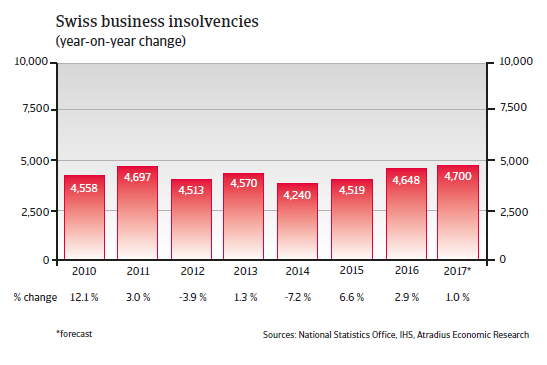 Despite a rebound of GDP growth, this trend is expected to continue in 2017, with business failures rising 1%, to 4,700 cases of bankrupt and over-indebted businesses. 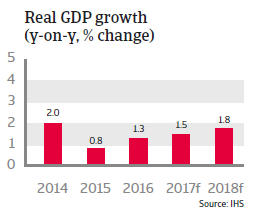 In 2016 the Swiss economy modestly rebounded after the January 2015 decision of the Swiss Central Bank to end the exchange rate cap, which had led to a sharp appreciation of the Swiss franc (especially against the euro), severely affecting exports. Switzerland relies heavily on exports, which account for 70% of GDP. In 2016, export-oriented businesses production costs had risen relative to their export prices, squeezing profit levels. 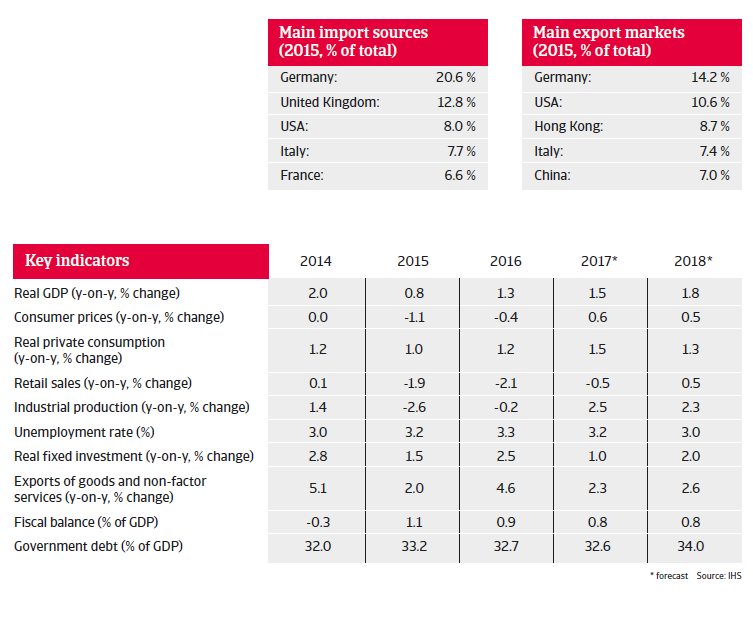 The 2016 rebound was driven by stabilisation of the exchange rate and increased demand from the eurozone, leading to higher exports. The Central Bank has kept the benchmark interest rate at -0.75%, which has contributed somewhat to the weakening of the Swiss franc exchange rate. 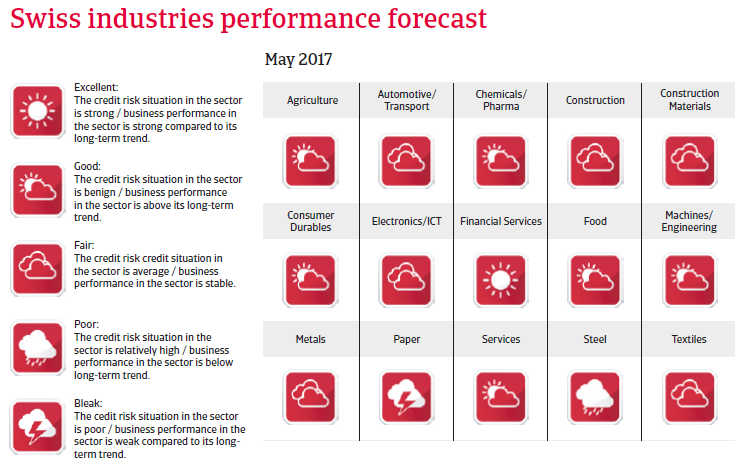 In 2017 the gradual rebound is set to continue, with export growth forecast to continue and private consumption growth expected to pick up slightly. Consumer price inflation is forecast to remain below 1%.